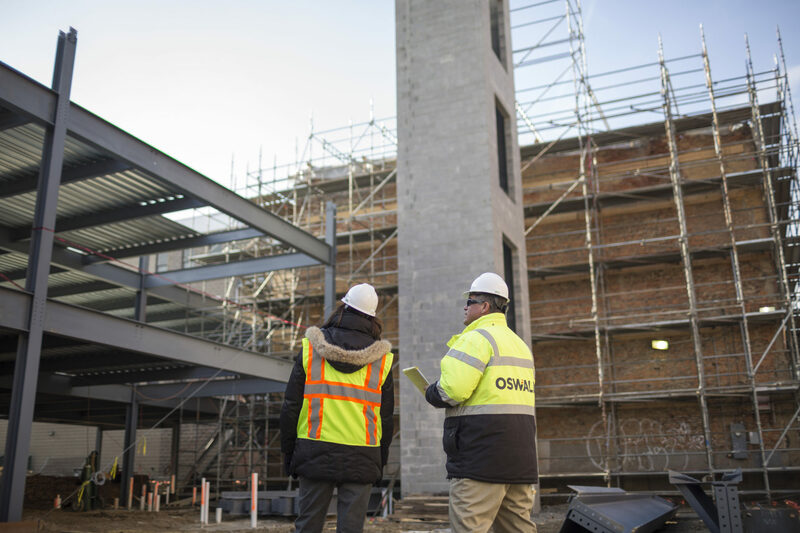 Oswald’s On-Site Quality Assurance Program sets the guidelines for all project quality control procedures followed in the field. Oswald’s program is facilitated from design through closeout. Standards and expectations are set, and work is inspected weekly. Our goal is to eliminate the punch list that consistently affects closeout and client move-in. Quality is further achieved by developing thorough bid packages and scopes of work for each trade contractor. Before Oswald awards a trade contract, the trade contractor must demonstrate how they will ensure that a consistent level of workmanship is achieved throughout the project.